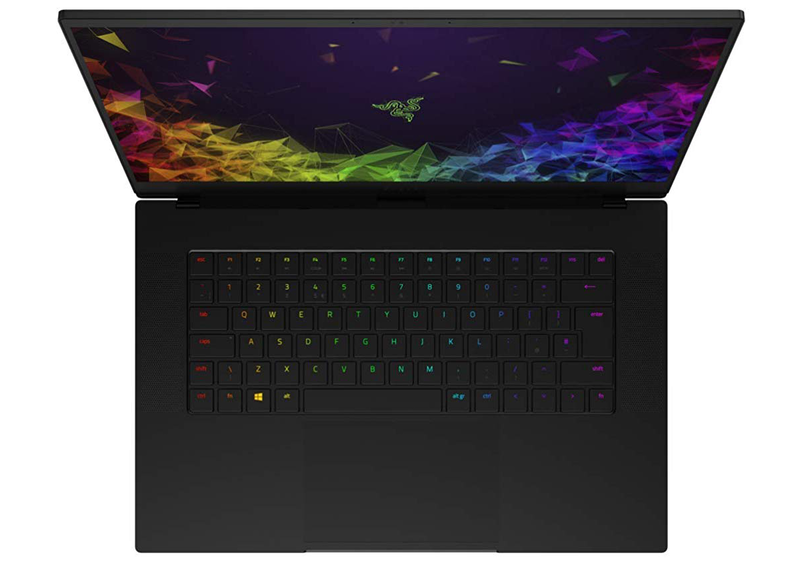 Gaming laptops have been boosted by the arrival of Nvidia's mobile GeForce RTX GPUs, and all the usual suspects are scurrying to get new or refreshed models on to store shelves at the nearest opportunity. 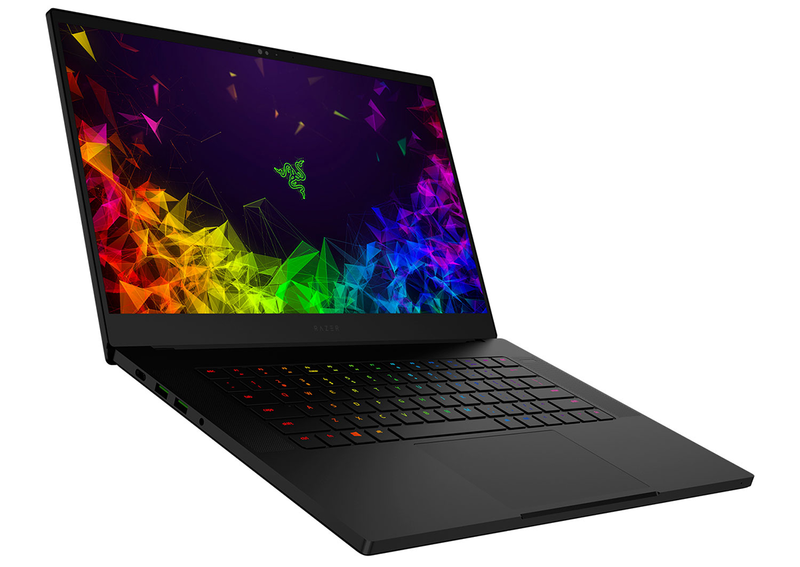 We've already seen efforts from the likes of Aorus, Gigabyte and PC Specialist, with mixed results, it must be said, and today we turn our attention to the venerable Razer Blade 15. The signs are good, as the new Blade 15 isn't just the same system with a new GPU. It may look identical, and we suspect most users would struggle to tell the difference up close, but the change is definitely there as chassis thickness has increased from 16.8mm on last year's model to 17.8mm this time around. Hardly seems worth mentioning, as total weight remains at 2.1kg, but the slightly broader body has helped in the thermals department, as we'll demonstrate shortly. And from an aesthetic point of view, Razer hasn't felt the need to do much else. Blade 15 is marketed as "the world's smallest 15.6in gaming laptop," and we'd go as far as to say it's probably the most handsome, too. The frame has a grown-up feel about it, with the CNC-milled aluminium unibody frame providing a level of rigidity that no other gaming laptop vendor seems able to match. This remains an extremely tidy piece of kit, and while rival systems often come across as gaudy or ostentatious, Razer is able to pull off bright-green USB ports and a backlit snakehead logo while maintaining an air of cool. Our only reservation, and it's an ongoing point of contention, is that Blade 15's matte-black paintwork is a notorious fingerprint magnet. The laptop looks fantastic right out of the box, but be prepared to carry out regular wipe-downs in order to keep it that way. Save for the extra 1mm, overall design and build quality is a known quantity, and changes under the hood revolve almost entirely around Nvidia's latest-generation GPUs, which as you might have guessed don't come cheap. 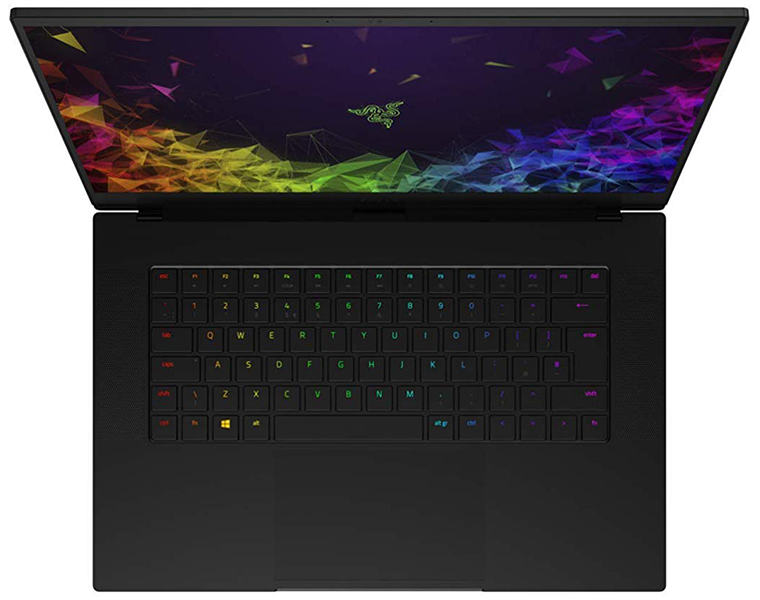 Razer's entry-level RTX Blade 15 starts at £2,200 and pairs a full-fat GeForce RTX 2060 GPU with a matte 1080p 144Hz IPS display and 512GB SSD. Interestingly, the next models up include 'low-fat' Max-Q GPUs, with an RTX 2070 Max-Q or RTX 2080 Max-Q raising the price to £2,450 and £2,850, respectively. 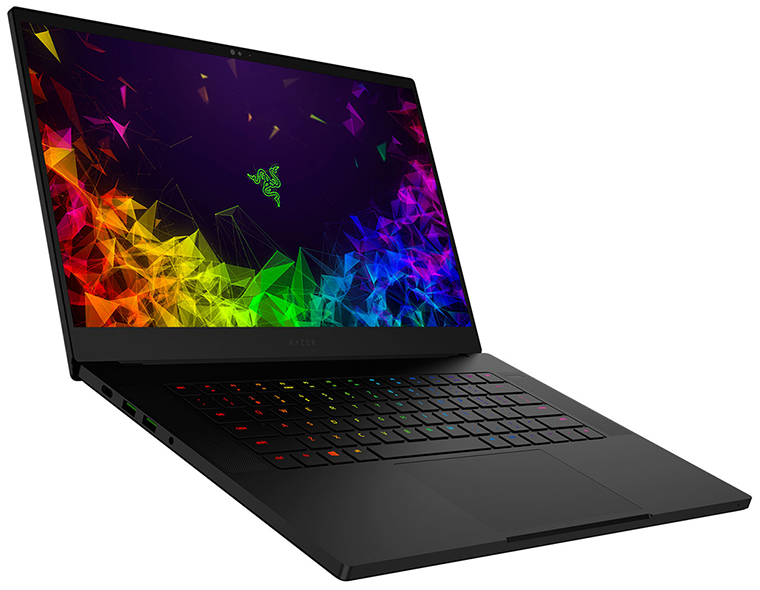 There is also an option for a 4K, 60Hz touchscreen, priced at £2,750, though we're surprised to see Razer pair the higher-res panel with an RTX 2070 Max-Q, rather than the range-topping 2080. Our £2,450 review sample seems like it would be a popular choice, as RTX 2070 Max-Q ought to play well with the fast, full-HD display, however the astute user might see value in the full-fat RTX 2060 model; it's £250 cheaper and, if our experience of other systems is anything to go by, shouldn't be a million miles off RTX 2070 Max-Q levels of performance. Looking beyond the new GPU choices, it's the Blade 15 as we know it. That means a familiar six-core, 12-thread Intel Core i7-8750H processor, 16GB of dual-channel DDR4 memory, an 80Wh battery and a useful gathering of connectivity options. The laptop's right side is home to Thunderbolt 3 Type-C, USB 3.1, HDMI 2.0b, mini-DisplayPort 1.4 and a Kensington lock, while over on the left there's a combination 3.5mm audio jack, two further USB 3.1 and a proprietary connector for the bundled 230W power supply. WiFi and Bluetooth connectivity comes courtesy of an integrated Wireless-AC 9560 adapter, and though the webcam remains a basic 720p solution, we appreciate the 2019 refresh adds IR sensors enabling support for Windows Hello face recognition. 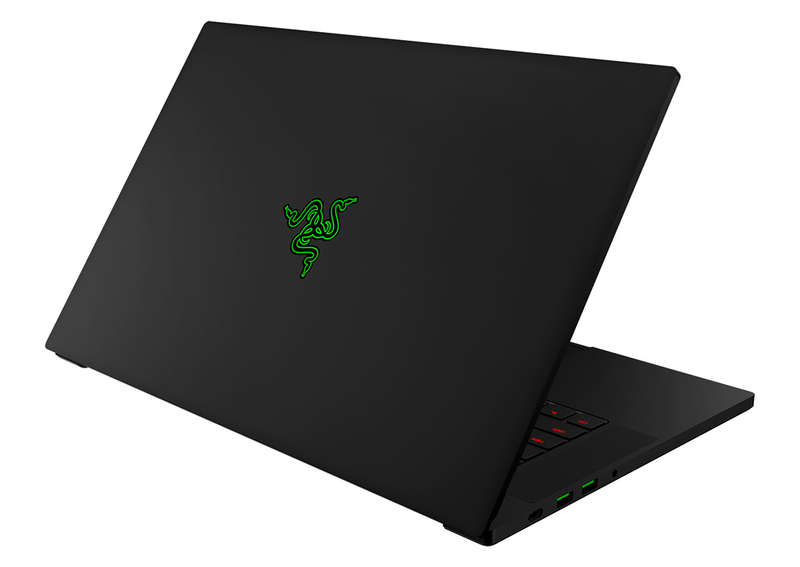 Razer has addressed most of our concerns from 2018, but if we're nitpicking, we'd really like to see a USB-to-Ethernet adapter included as part of the bundle. Blade 15 ultimately ticks a lot of the right boxes for both work and play, and its ability to double as a business system by day and gaming platform by night goes some way toward justifying the premium. On the inside, the dual-fan vapour chamber cooling configuration is practically silent when idle, meaning you can sit in on business meetings without making a racket, and the 355mm x 235mm x 17.8mm profile is no burden to transport. Rather than attempting to out-do the competition, there's also a case to be made for avoiding bad habits; Blade 15 isn't smothered in stickers and comes pre-loaded with a 64-bit install of Windows 10 that isn't bogged down by bloatware. Presentation is first-class, but bridging the work/play divide isn't straightforward, and as pretty as Razer's Chroma-backlit keyboard is, we'd argue that key travel is a little on the short side. We like that Blade 15 doesn't attempt to shoehorn a numpad to the detriment of overall comfort, but while the keyboard is decent, it isn't on par with the best business laptops from the likes of Dell, Lenovo and Microsoft. We might say the same about the glass precision trackpad. Although nice and roomy, it's a tad too sensitive by default and prone to registering accidental presses; we'd recommend turning sensitivity down from high to medium for better results. One of our criticisms of last year's model was that Razer still hadn't found a way to illuminate the secondary functions on various keys. Our understanding was that said issue would be solved for 2019, but in a bizarre turn of events, it seems only the US layout of the keyboard has the ability to illuminate those secondary functions. Our UK review sample certainly does not. An unfortunate oversight, yet while the keyboard experience isn't quite up to the standards of a ThinkPad or Surface, it's still better than most other gaming laptops we've tested. And those stereo speakers flanking the keyboard? They continue to offer a sound quality that's a cut above most competitors. The only remaining question, and it's a big one, is whether or not that extra millimetre can truly refine the Blade 15 experience. Let's run the benchmarks and see what's what.